The C 63 AMG Coupe Black Series will go on sale in Australia during April 2012 from $245,000*. 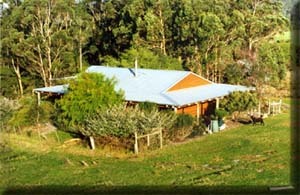 Thirty two examples will be imported to Australia. The 6.2 litre V8 develops 380 kW of power and 620 Nm of torque which will produce a 0-100 km/h time of 4.2 seconds. 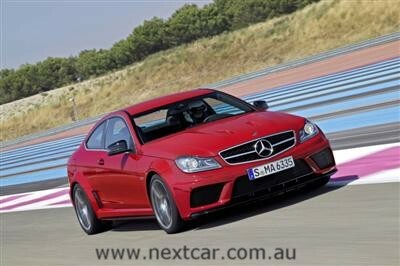 “The C 63 AMG Coupe Black Series will be limited to a total of 35 units for Australia and New Zealand. Obviously we wanted to get more but, the global customer demand for this latest Black Series (since it was revealed at the 2011 Frankfurt Motor Show) has seen our allocation limited to just 35 units. Many CLK 63 AMG Black Series owners see the C 63 AMG Coupe Black Series as the logical successor and we already have a double figure order bank,” said von Sanden. The CLK 63 AMG Black Series went on sale in the first quarter of 2008 at a RRP of $299,000 - thirty two were imported to Australia. The 6.2 litre V8 developed 373 kW of power and 630 Nm of torque which produced a 0-100 km/h time of 4.3 seconds. Each Mercedes-Benz C 63 AMG Coupe Black Series vehicle bound for Australia will come with a unique personalised certificate of authenticity, along with a letter of provenance signed by Mercedes-Benz Australia/Pacific verifying the limited edition status of this vehicle. AMG Aerodynamics Package – designed to optimise the vehicle’s aerodynamic balance comprising a fixed carbon-fibre rear aerofoil with an adjustable blade, enlarged front splitter and carbon-fibre front flicks. AMG Track Package – comprising Dunlop semi slick sports tyres designed exclusively for the Black Series and active rear-axle transmission cooling to improve performance in punishing race track conditions. Two seater Bucket Seats – Two Bucket seats in black ARTICO/DINAMICA microfibre with red top stitching and provision for the fitment of full race harness. A no cost option. AMG 19-inch alloy wheels – ten spoke design painted in matt black with high-sheen rim flange fitted with 255/35 R 19 tyres 9.0J X 19 front and 285/30 R 19 tyres 9.5J X 19 rear.